Jake Klein, 50, sets out to make a movie. He hires an actor to play himself and throws a big party. His idea is to shoot the heck out of it and see what he gets. But, everything spins out of control as different, unexpected people show up. Old loves are there. New loves are there. His dead father, his mother when she was young, his kids, his ex-wife. Even his younger selves, Jake at 40, Jake at 30 and Jake at 17, are there, too! And every one of them has tons of advice on how to fix his screwed up life. 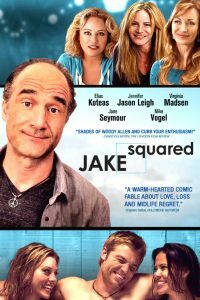 Jake's head reels as he staggers through what's either a mystical experience, a nervous breakdown... or both!